Coppell High School sophomore Shreya Beldona dances to a Kuchipudi classical Indian dance called Brindavana Nilaye. 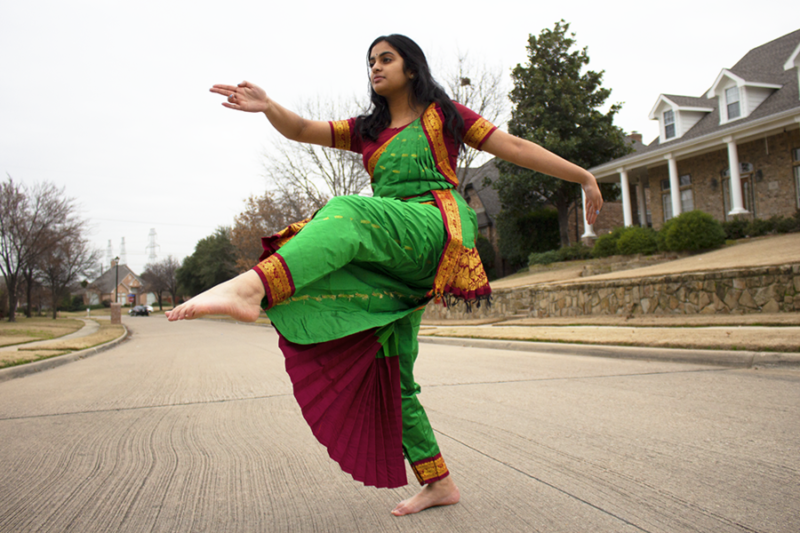 Beldona has been performing classical Indian dance for the past nine years at the Ballet academy in Coppell, Texas. For as long as I have done Kuchipudi, this is the same reaction I usually receive when I tell someone I am a dancer. In my culture, I have always known what it means to be a classical Indian dancer. To me, being a classical Indian dancer is to be powerful and confident, yet vulnerable and a storyteller. Each movement, whether it is a mudra (a hand gesture) or a body movement, is intentional and contributes to the grace of each dancer and the story they are trying to tell. When people think dance, they envision ballet, hip-hop or jazz. When people think of Indian dance, they envision Bollywood. All the negativity I receive stems from the perception that the only Indian dance that exists is Bollywood, but there is so much more: Kathak, Kuchipudi, Bharatanatyam and Odissi are just a few of the many types of classical Indian dance. I have not always been a Kuchipudi dancer. About 10 years ago, I did Bollywood Kathak, a fusion of Bollywood and the classical dance Kathak. It was not long before I lost interest and gave up practicing. I got into Kuchipudi after I saw a Kuchipudi play. I was mesmerized by how the dancers not only moved so beautifully but how they displayed such real and raw emotions. I knew in that moment wanted to do Kuchipudi. For the last nine years, I have been a Kuchipudi dancer, and it has been an unforgettable journey. When I first started, I was optimistic, young and eccentric. I easily memorized basic steps and improved my technique. However, for the last four to five years, I have struggled. Dance pieces stretched from four minutes to 10. I injured my knee and have had to go to physical therapy for the last three years. Several of my friends in school did not understand why I spent so much time on dance and teased me. I found it incredibly hard to memorize 10 minutes worth of dance to the tune of an Indian language I did not know. Needless to say, I desperately wanted to quit. When I was debating whether or not to quit dance, I performed one piece I was learning all by myself in front of a big mirror and poured my soul into it. I accentuated every movement and reenacted the facial expressions of the character I was depicting. After I finished, I was a sweaty mess but I knew dance was something I could never quit. I have dedicated part of my summers, my weekends and school trips for dance. However, I would say the benefits dance has given me outweigh the criticism and sacrifices I have made. Dance gives me purpose, an outlet for my creativity, confidence and most importantly, strength. While I dance, my legs and arms might be shaking and sweat might pour down my face, yet I still find the strength and the will to keep on going. I still have yet to experience a feeling that matches the pride I feel every single time I finish a dance piece. 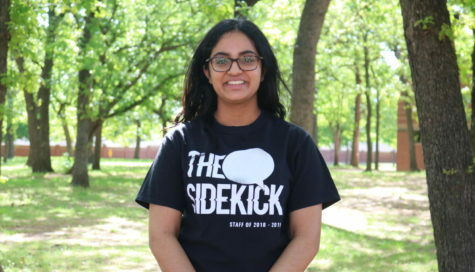 I am currently training to get a diploma in traditional Kuchipudi dance before I graduate from my junior year of high school. From the time I started dancing, I knew I wanted to perform my own Rangapravesam. The ultimate goal as a Kuchipudi dancer is to have a Rangapravesam. Rangapravesam means debut – “ranga” means stage and “pravesam” means entry in Sanskrit. A Rangapravesam is traditionally a compilation of uniquely choreographed, challenging and elegant dance pieces with live classical Indian music accompaniment. The purpose of the Rangapravesam is to show friends and family the strength, grace and discipline of the dancer. The hardest thing about performing a Rangapravesam is having enough determination to get through it. The dancer often dances for two to three hours with few breaks in between. Even though I love dancing, the interaction I have with people who are unaware of classical dance or Kuchipudi still disheartens me. If I could talk to someone who does not what know classical Indian dance is, I would tell them that forms of classical Indian dance date back to the second century; that classical Indian dance requires an extremely high level of strength and perseverance; that even though it may not be ballet or tap, classical Indian dance still requires the same level of discipline and practice. That to me, Kuchipudi is far more than just dance. I really like this! It gives a better insight into what Kuchipudi dancers have to endure for a beautiful performance and breaks stereotypes! Nice job!